The kitchen is one of the areas of a home that suffers the most wear and use. Changes in temperature, frying, broiling or baking cause odors and deteriorate your kitchen. From time to time, it becomes necessary to renovate things and update your lifestyle. Remodeling a kitchen brings new life to the whole house makes life easier and gives you access to updated technologies. Remodeling a kitchen is a project. It is not only the design and layout but the finishes used, the tile and personal touches such as furniture, but also energy-savings. At Divine Design we offer all the necessary materials to carry out your kitchen remodeling project in your home. We have an extensive range of stonework and cabinetry to suit your taste that helps create the environment you want to implement. 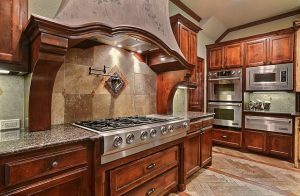 The combination of the cabinetry and countertops is fundamental to get an original design as well as the choice of materials suitable for a kitchen. We can install high or low kitchen cabinets in a variety of colors, styles, measurements, and finishes. To simplify this process of remodeling the kitchen, at Divine Design we design it according to your tastes and provide you with an extensive selection of materials and finishes so you can visualize several options and be able to decide which you like more. It is an easy way to help you choose what you like best and will fit your home. At Divine Design we can set up your kitchen according to your needs, tastes, preferences, and budget. Modernizing your kitchen and making it beautiful does not cost a lot of money with Divine Design. You know that with Divine Design you will have expert advice for free, we make the kitchen remodeling process responsibly and thinking that the cost of the kitchen remodeling is adjusted to your needs and your budget. At Divine Design, we want the kitchens we remodel to match your exact needs and make your life more enjoyable. If you are thinking about remodeling your kitchen, do not think about it anymore, give us a call. We are waiting to take your call!